If you could not see the site pages (due to error 406), or if you are getting pages in an unexpected language (i.e., in Portuguese, instead of English), probably your web browser has incorrect language preferences. It is necessary to have the English (en) language configured as preferred. Please also note that some sections of this site are only available in Portuguese. Here is a summarized browser Language configuration guide. 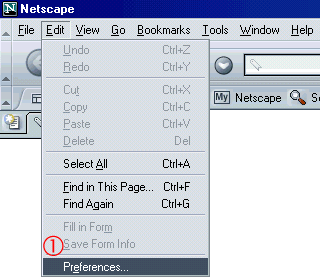 In "Tools" menu, select "Internet Options". In the "General" tab, press the "Languages" button. If "English [en]" is not in preferred languages list, press "Add" button and choose it. If you have Portuguese ([pt] or [pt-br]) in your list of preferred languanges, ensure that English is listed before Portuguese, into the priority order. 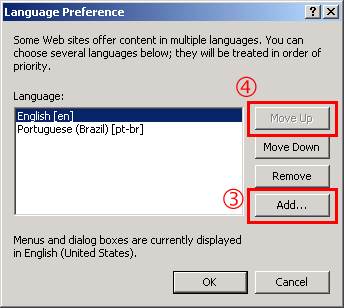 Select the English language previously added in the list, then press "Move Up" button until it be listed before (above) Portuguese. Choose "OK" on both opened dialogs. Configuration is done. 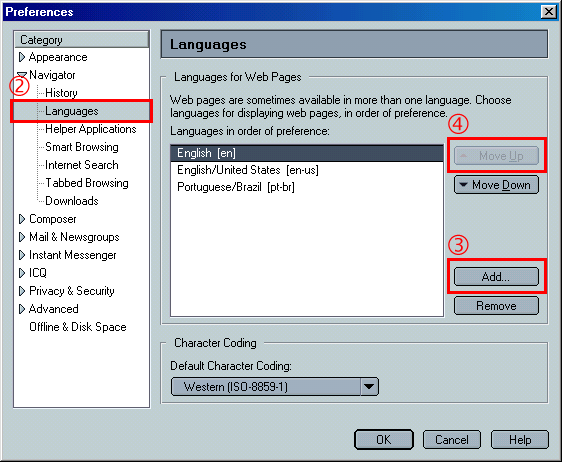 Go back to the site Home-page, or any other page available in English, and Reload it (F5). The English version of the page shold be loaded now. In "Edit" menu, select "Preferences". If you have Portuguese ([pt] or [pt-br]) in your list of preferred languanges, ensure that English is listed before Portuguese, into the preference order. Select the English language previously added in the list, then press "Move Up" button until it be listed before (above) Portuguese. Choose "OK" on this Preferences dialog. Configuration is done. Go back to the site Home-page, or any other page available in English, and Reload it. The English version of the page shold be loaded now. Identify, among the options/preferences of your browser, where to configure Preferred Languages. If "English [en]" is not in preferred languages list, add it. If you have Portuguese ([pt] or [pt-br]) in your list of preferred languanges, ensure that English is listed before (above) Portuguese, in order of priority. Save the new configurations onto the program. For some browsers, it may be necessary to close program (all its windows) and start it again, in order to activate the new preferences. Go back to the site Home-page, or any other page available in English, and choose Reload. The English version of the page shold be loaded now.